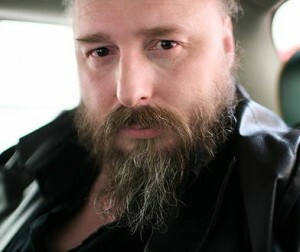 First off, the good news is that Warren Ellis has a new two-book deal with Mulholland Books, who are also the new home of one of my all-time favorite authors, Charlie Huston. I read Crooked Little Vein last year and thoroughly enjoyed that vulgar little volume, which alternates between dark humor and varieties of sexual weirdness normally found only in the darkest corners of the web. I haven’t read anything else by Ellis yet, but I may start in on some of his graphic novel work soon. [W]hen I write science fiction I’m a crime writer, and when I write crime fiction I’m an sf writer. I’m talking about our lives, and the way I see the world. I’m writing about the new thing, the disruptive event that enters that world, its repercussions and the attempts to deal with it. But I’m talking about where I think I am today, and what I think it looks like. Ellis’ argument is that both genres, while nominally about strange worlds (either sfnal or criminal), are actually social fiction, wherein authors discuss the ills in our society, either real or potential. It’s a fascinating argument, and made me think about what draws me to both genres. I’ve been a lifelong scifi/fantasy reader, but over time I’ve started reading more crime fiction as well. My first big exposure to the genre was in high school when I started reading Elmore Leonard after seeing Out of Sight. In more recent years, I’ve found myself voraciously reading the works of Huston, Gregory McDonald (Fletch), and others. I think I’m most drawn to crime fiction by the urgency and danger inherent in the form. However, I think it’s what Ellis identifies that keeps me coming back to both forms. I love stories that hold up a mirror to society, that play with the nature of our world and reality. I think that works whether they’re discussing a multitude of alternate universes or a drug-ridden slum in New Jersey. I look forward to reading what comes next from Ellis and Mulholland.